Alimony is support paid to one spouse by the other based on economic disparity. Tennessee alimony law has gone through many changes over the years; the Tennessee Supreme Court has recently reviewed many alimony cases and has issued an opinion on the current state of alimony in Tennessee. Presently, Nashville alimony law is one of the most misunderstood areas of the law. In the years of yesterday, a successful Nashville alimony law case was when a Nashville alimony law attorney was able to get a great settlement for the party who was so we say wronged. Or a Nashville alimony law case was considered to have a great turn out if the injured party received a settlement that let him or her continue living in his or her customary lifestyle. Alimony is based on the need of the recipient and the ability to pay of the obligor. If the financially disadvantaged spouse earns sufficient money to pay all necessary expenses, there is no alimony. If, on the other hand, the financially disadvantaged spouse has a need, but the obligor spouse does not earn sufficient money to pay any support, then there is no alimony. Finally, if the financially disadvantaged spouse does have a need and the obligor spouse does have the ability to pay, alimony is likely. In an alimony case, the critical analysis is the type of alimony, the amount of alimony, and the duration of alimony. Rehabilitative Alimony—to obtain additional schooling, training, or experience to increase that spouse’s income to a level where spouse is self-supportive at an acceptable level. Payments are made for a sufficient period of time necessary for rehabilitation to occur. Rehabilitative alimony can be increased, decreased, extended, or terminated by the court based on the particular circumstances. Alimony in Futuro–to equalize the income disparity of the spouses and to supplement income for the purpose of maintaining a lifestyle similar to that enjoyed during the marriage. This type alimony is generally awarded until the death or remarriage of the financially disadvantaged spouse. This alimony type can be modified by a court, will terminate “automatically and unconditionally” upon the death or remarriage of the person receiving payments, or upon the death of the payer spouse. 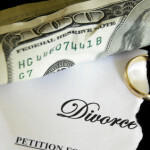 Transitional Alimony–to adjust to the economic consequences of a divorce. This type of alimony cannot be modified but can be modified at a later date or upon the occurrence of certain conditions. Alimony in Solido—to make a property award from one spouse to the other, which may be made in the form of payments; it is for a specific sum to be paid in a specific manner. This type of alimony is not modifiable, and does not terminate on the death or remarriage of either party. Turner Law Offices, P.C. is experienced in all areas family law, especially Tennessee alimony law. For a thorough discussion about alimony and how the law affects your case, meet with one of our experienced divorce lawyers. Call today or request a free initial consultation online with one of our attorneys.